Looking for some adorable farm dog names for both male and female pups? You have to check out these hilarious and cute monikers that are inspired by famous animals! From overly-dramatic chickens (the sky is falling!) to sweet & sensitive swine, we’ve got you covered! 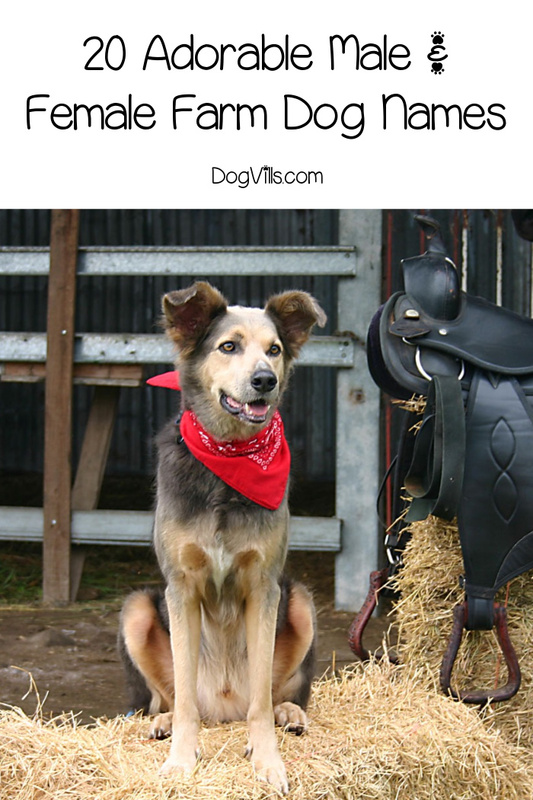 Oh, and if you’re thinking of getting two dogs, don’t miss these cowboy/cowgirl names that go perfect with these farm dog names! According to the English Oxford Dictionary, a farm is defined as “an area of land and its buildings, used for growing crops and rearing animals.” There are an array of animals that live on farms, including chickens, cows, donkeys, ducks, horses, pigs and rabbits. So, if you are looking for a farm-related name for your dog, you have numerous options available! I broke them down for you by which animal inspired the name. 1. Ace– Male- Ace Cluck, AKA Chicken Little , is the title character from the 2005 movie, Chicken Little . He is honest and supportive, but a bit lonely. Poor guy, no one believes him when he says the sky is falling! This name is suitable for just about any boy dog. 2. Audrey– Female- Audrey is the red hen in the 2004 movie, Home on the Range . She is caring, feisty and worrisome. Speaking of feisty, did you know that there’s a dog breed called the Mountain Feist? Wouldn’t this name be perfect for one of these small hunting dogs? 3. Ginger– Female- Ginger is the Rhode Island red hen from the 2000 movie, Chicken Run . She is assertive, honest and selfless. I love this name for a red dog, like the Pharaoh Hound or an Irish Setter. 4. Peck– Male- Peck is the Rhode Island red rooster from the 2006 movie, Barnyard . He is friendly, gentle and intelligent, making this a great name for a Lab! 5. Clarabelle– Female- Clarabelle Cow is a fictional Disney character, who is the best friend of Minnie Mouse and the girlfriend of Horace Horsecollar. She is clumsy, sarcastic and vain, but don’t let that keep you from using this adorable moniker! The name actually means “bright and beautiful” in Greek, according to Nameberry. 6. Maggie– Female- Maggie is a female cow in the 2004 movie, Home on the Range . She is brave, caring, talkative and sassy, just like the Pomeranian or Siberian Husky! 7. Otis– Male- Otis is a cow from the 2006 movie, Barnyard. He is carefree, goofy and mischievous, making this a perfect name for a Golden Retriever! Otis is voiced by actor Kevin James. 8. Benjamin- Male- Benjamin is a wise Donkey from the dystopian book, Animal Farm , by George Orwell. He doesn’t talk much, so when he does, you better listen up! I love this name for a Basenji, one of the quietest dog breeds that also looks incredibly wise. 9. Eeyore– Male- Eeyore is a stuffed donkey from the Winnie the Pooh franchise. While Hundred Acre Woods isn’t technically a farm, you really can’t mention donkey dog names without mentioning Eeyore. This is a perfect name for a bloodhound, who just always kind of look like they’re feeling a little blue even though they’re not. 10. Daisy– Female- Daisy Duck is a fictional Disney character, who is the girlfriend of Donald Duck. She is caring and talkative, but also a little impatient at times, making this name great for a Husky/Border Collie Mix! 11. Serge– Male- Serge is the mallard duck, with a French accent, from the 2006 movie, Open Season . Don’t you think it’s a great name for a Poodle? 12. Frou-Frou– Female- Frou-Frou is the female horse and friend of Duchess, Toulouse, Marie and Berlioz, in the 1970 movie, The Aristocats . She is funny, kind and intelligent, making this a perfect name for a Golden Retriever, Lab, or Border Collie. 13. Hidalgo– Male- Hidalgo is the mustang horse from the 2004 movie, Hidalgo . The movie is based on the life of Frank Hopkins and his own mustang horse, also named Hidalgo. 14. Seabiscuit– Male- Seabiscuit is the thoroughbred race horse from the 2003 movie, Seabiscuit, whihc is loosely based on the life and racing career of Seabiscuit, an undersized champion thoroughbred race horse. If you want to give the runt of a litter a powerful name, this is definitely a great choice! 15. Petunia– Female- Petunia Pig is an animated cartoon character from Looney Tunes and Merrie Melodies . She is the girlfriend of Porky Pig and has a sweet, supportive personality. Great name for a service dog, don’t you think? 16. Piglet– Male- Just like we couldn’t talk donkeys without mentioning Eeyore, we can’t talk piggies without mentioning Pooh’s best friend! Piglet is a helpful and innocent, but also a little timid, making this ideal for a shy dog. 17. Wilbur-Male- Another famous piggy that belongs on every list, Wilbur is the penultimate farm pig. He was the main character in Charlotte’s Web , and he was some pig! This is the perfect name for a radiant and humble dog! PS, if you’re not getting these references, you need to go re-read the book right now! 19. Lola– Female- Lola Bunny is a Looney Tunes anthropomorphic character that made her debut in the 1996 movie, Space Jam . Lola is the athletic, charming and independent girlfriend of Bugs. Lola is a great dog name for one of these athletic breeds! 20. Snowball– Male- Snowball is the white rabbit from the 2016 movie, The Secret Life of Pets . He has buck teeth and is eccentric and manipulative. 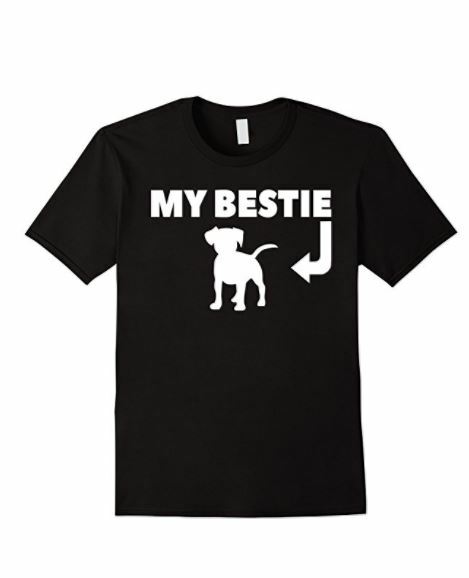 While I wouldn’t call dogs manipulative, this is great for a pup who certainly knows how to get his own way! I hope you loved these farm dog names as much as we do! Didn’t find what you were looking for? Check out these perfect country dog names for more inspiration! Do you have any favorite male or female farm dog names? Share below!